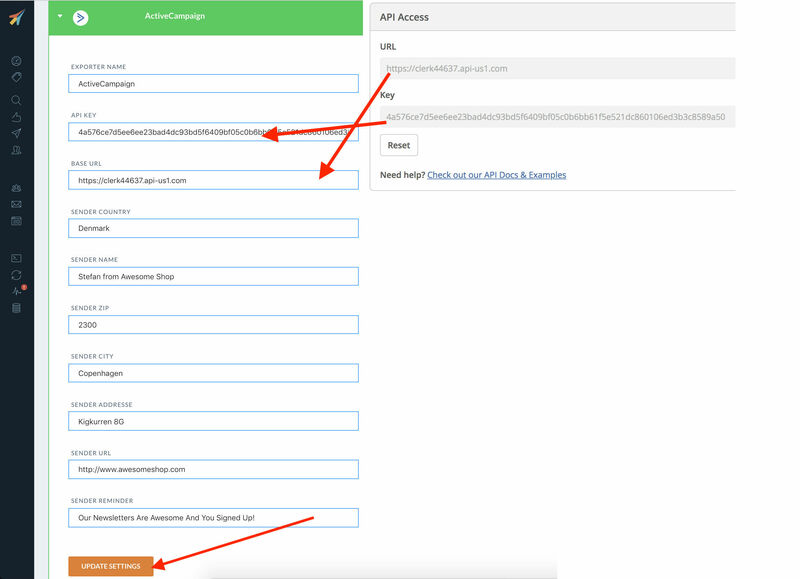 Audience can be setup to automatically sync a group of customers to ActiveCampaign so your lists are always up to date. You only have to setup the sync once, and then ActiveCampaign will be kept updated with the Audiences you have chosen, even as they change from day to day. 1.2 Copy the URL and Key from the page. You will need it later. 2.2 Choose ActiveCampaign from the dropdown and give it a name. Then click Create Exporter. 2.3 Copy the URL and Key to the Exporter settings. 2.4 Fill out the details of your choice for your company in the rest of the fields. 3.3. Under Export check SYNC WITH for ActiveCampaign. 3.6 ActiveCampaign will now sync the Audience. It might take a little while for it to finish. 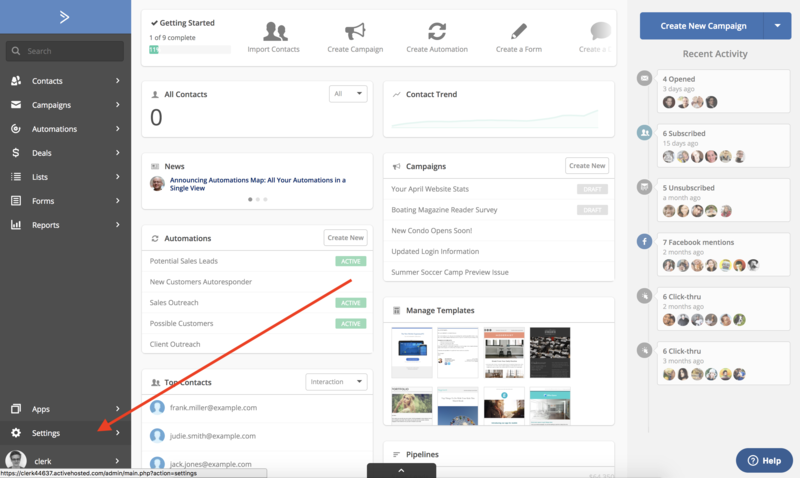 Afterwards your Audience will show up in Lists in ActiveCampaign. 3.7 You can follow this procedure for all the Audiences you want to export to ActiveCampaign. And thats it! ActiveCampaign will now be kept up-to-date, every day with any Audience you create and sync.